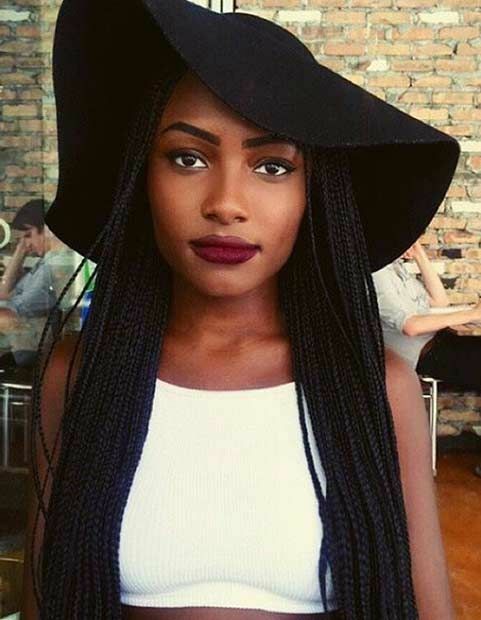 Braids are one of the most popular ways to wear natural hair because they come with nearly endless possibilities. In a sea of incredible braiding options, micro braids may be the most versatile of all. These super skinny braids are thin enough to do in intricate updos. 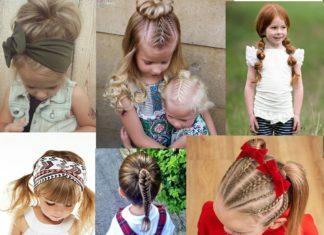 You can wear them braided all the way to the ends, or open to leave you with loose, flowing hair. Synthetic and human hair extensions are both an option with micro braids, meaning you won’t have to break the bank to get this cool protective style. 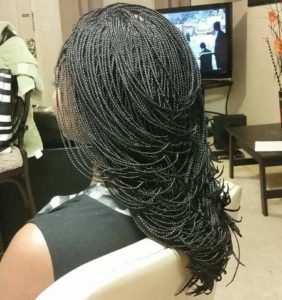 Because it takes many micro braids to cover your head, the only downside is how long they take to install, especially if you’re after a longer style that’s braided all the way down to the ends. But the time investment is definitely worth it, and we’ve got 35 gorgeous micro braids styles to prove it. Long micro braids are perfect for fancy updos like this elegant jumbo bun. We love this look for showing off bold statement jewelry like Eva Marcille’s oversize gold hoops or an elegant high necked or backless gown. 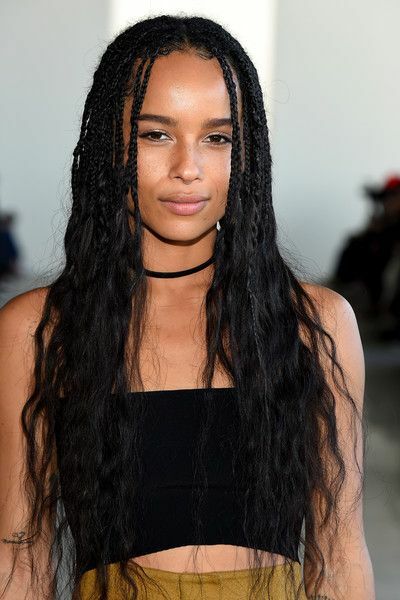 These open micro braids are full of bohemian flair, ending in soft waves that have a laid-back, beachy vibe. 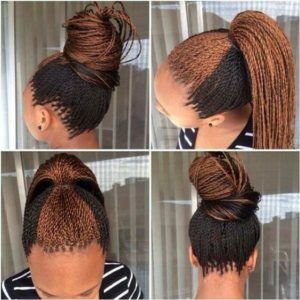 Not only does this micro braids style look great with simple loose styling, but they give you many options when it comes to updos. 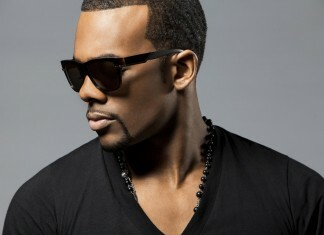 Thinner micro braids give you tons of styling versatility, and can even look like loose, flowing hair from a distance. 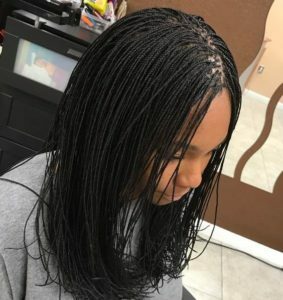 This simple knotted sttyle is an easy way to pull your micro braids away from your face, especially if they’re slightly stiff just after installation. If you’re looking to switch things up from basic black, auburn is a great in between color choice that flatters most skin tones. 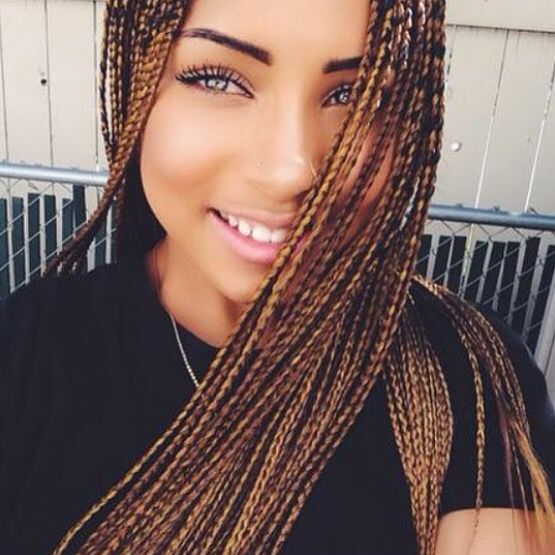 We especially love this shade of micro braids for fall and winter. Simple and chic, these long micro braids are a classic way to wear the style. This twisted updo is an especially sophisticated way to keep your micro braids secured and out of your face. Use this style to keep your hair together at work or for special events. 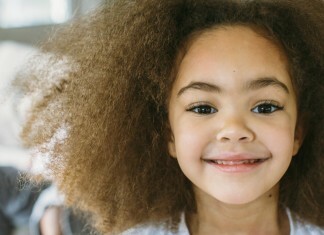 Because of their thinner texture, micro braids are perfecting for creating short and medium length hairstyles. This sophisticated lob cut is ultra trendy right now, but still long enough to let you wear ponytails and buns. 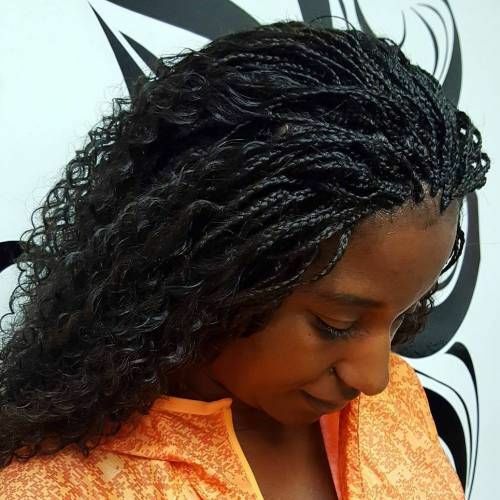 Add crimped texture to your micro braids to help create more visual interest. 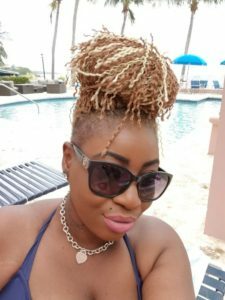 Human hair micro braids can be styled with a crimping iron, while synthetic braids are better off without the heat styling tools. Instead, braid your micros together into three-strand braids, then dip in hot water and leave overnight to create a crimp. 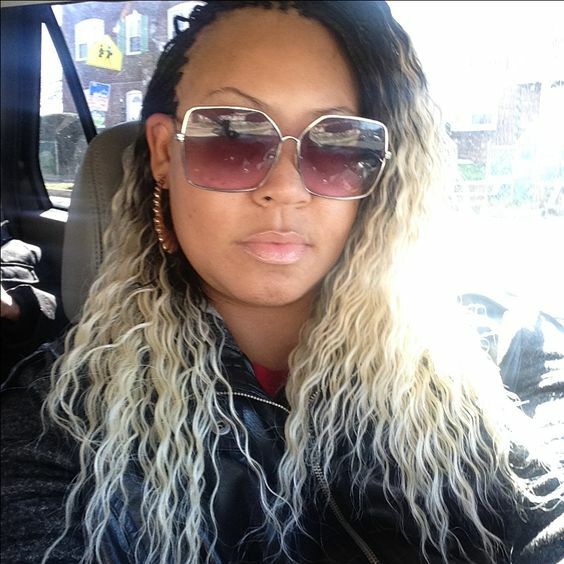 Use extensions with a curly texture to get open micro braids with tons of body and movement. 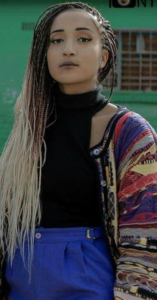 The thin texture of micro braids gives them lots of bounce and movement, allowing layered looks that leave you with lots of room to play. Use a side shave to bring some edge to your micro braids style. 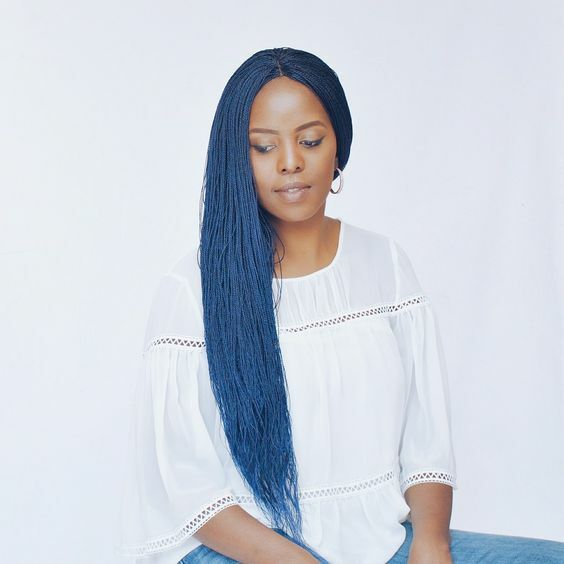 If you’re looking to shake things up and break free of basic black braids, this oceanic shade of blue is vibrant, unique, and sophisticated. 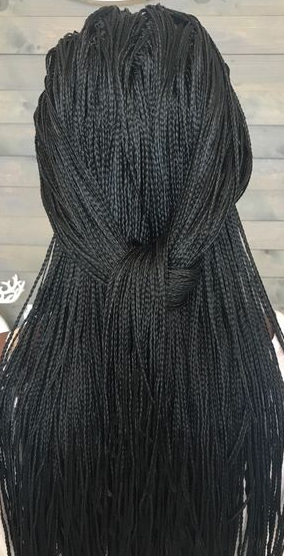 If you’re bored of braided styles that are all the same length, try this asymmetrical bob for your next micro braids style. This shape is great for women with round faces, as it tends to draw the eye downwards and lengthen your face. 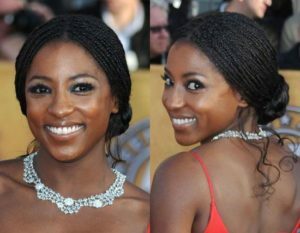 These long micro braids are glossy perfection, making them look perfectly in place for a red carpet look. 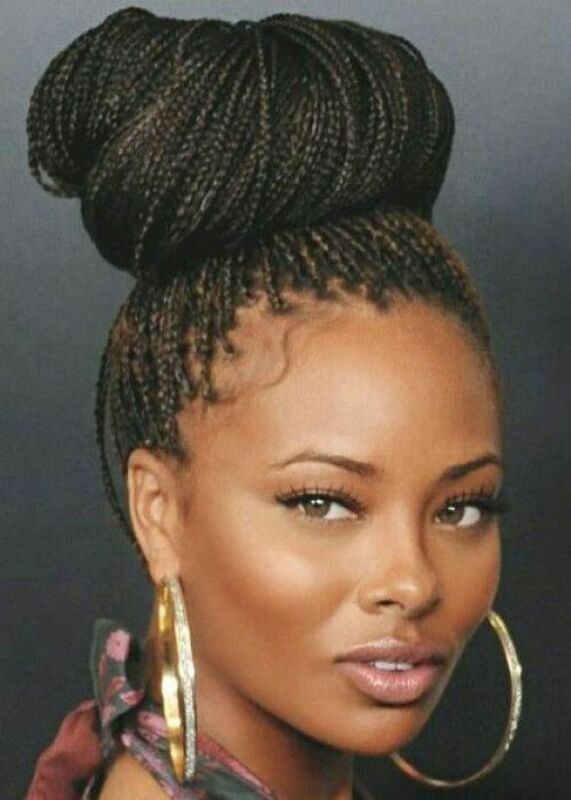 Use a braid spray with shine to keep your own micro braids looking this lustrous. Nicki Minaj’s ultra high ponytail is one of the sexiest micro braids hairstyles on our list, and is the perfect way to dress your braids up for a night on the town. One of the best things about braids and twists is how they allow for color experimentation without actually damaging or altering your natural hair. 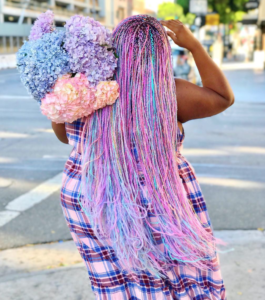 These dramatic ombre micro braids are perfectly on trend, and they’re a great way to revamp your look for summer fun or festival season. 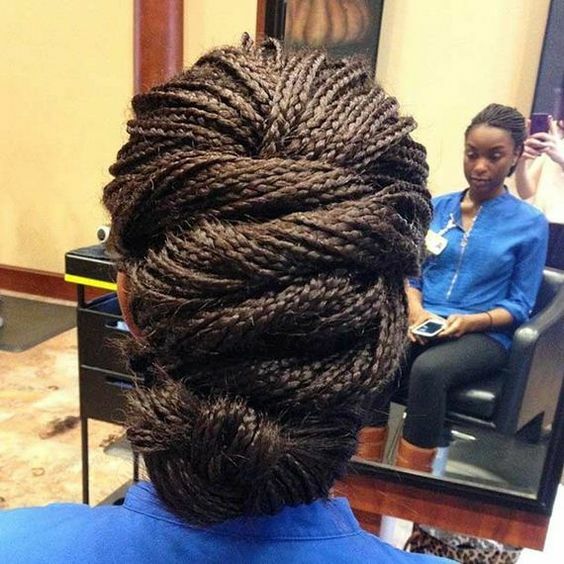 Micro braids are great for creating all sorts of updos like this elegant bun. A style like this will have you looking and feeling red carpet ready, but will also look appropriate at work as an everyday style. 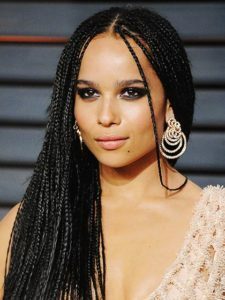 A chin-length bob is the perfect way to wear your micro braids in a chic, low-maintenance style. 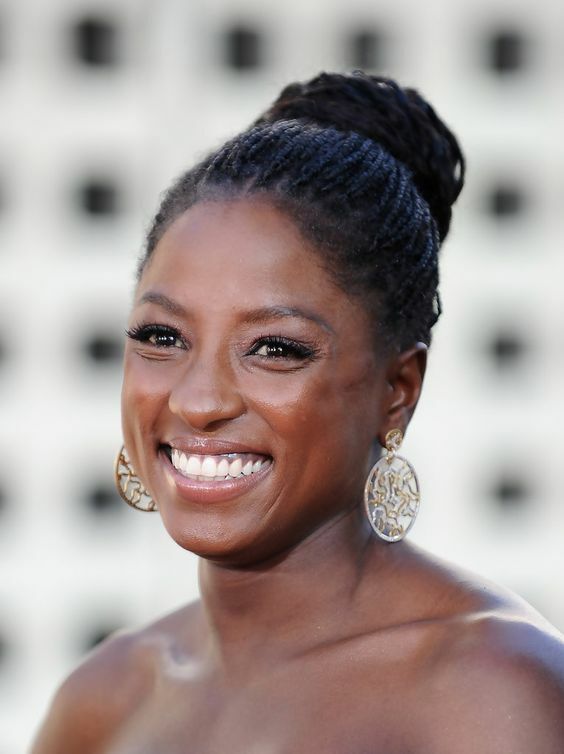 This look is especially flattering on oval shaped faces, while the side shave can help slim round faces. 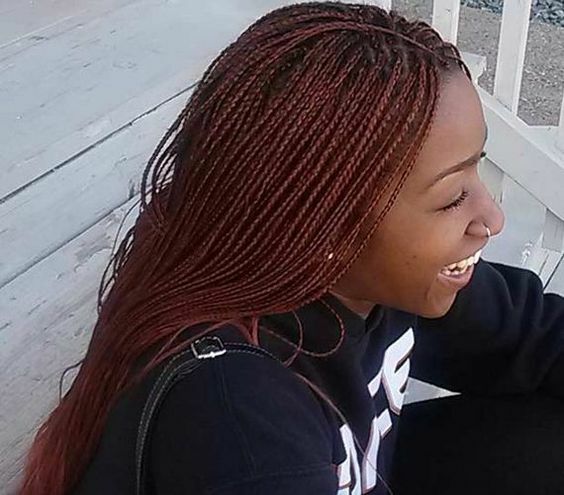 The skinniest of skinny micro braids will leave you with a luxurious head of flowing hair. Because these braids are so thin, they’ll probably take an entire day to install. 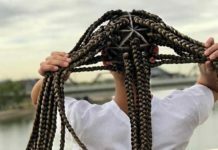 The upside is that once they’re in you can do anything with these braids that you’d do with a head full of long, flowing hair. 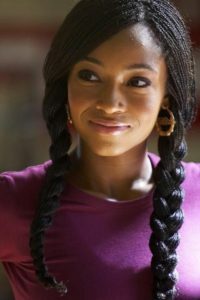 Put a wavy texture in your micro braids by wrapping them around perm rods and dipping in hot water to set. 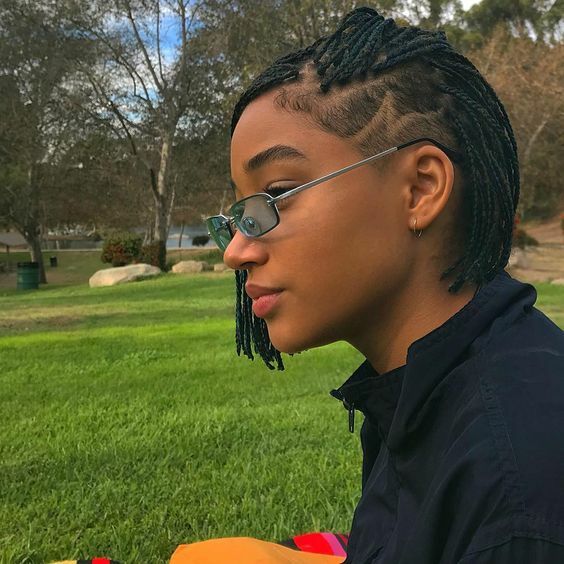 We like this style for creating softness around the face, and it’s a good way to refresh your look after braids have been in for a few weeks. Warm shades of blonde help to make this micro braid style dimensional and fun. You can wear them any time of year, but we especially like this look for spring and summer. 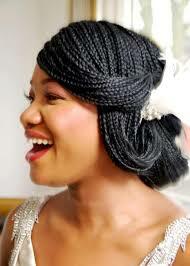 This intricate side style is a gorgeous example of how micro braids can be worn on your wedding day. 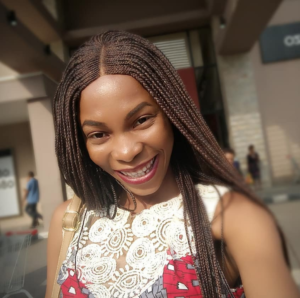 Sweeping braids across the forehead creates a face framing fringe that brings attention to your eyes without obscuring your face in photographs. 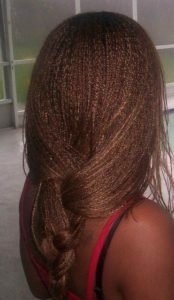 Use human hair extensions to get open micro braids with soft, touchable curls. 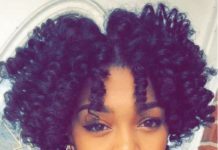 Because you can safely use heat-styling tools on this hair, you’ll have lots of quick styling options for both straight and curly looks. 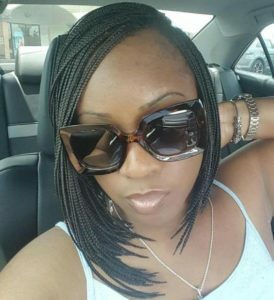 Skinny micro braids are perfect for creating larger braided looks like these cute three-strand braid pigtails. This simple look is a cute way to dress up an everyday style, and is a good option for securing your braids without pulling on edges. 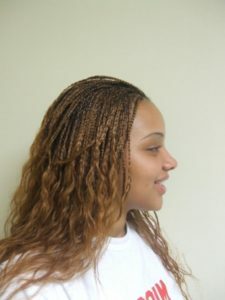 The reddish tinge in these chestnut brown micro braids is perfectly suited to women with warm undertones in their skin. 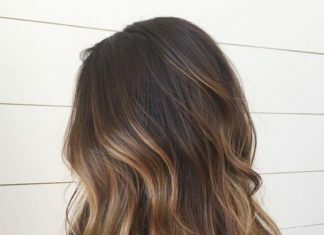 If you’ve got leftover hair from another style, try throwing in a few golden blonde strands to create some extra warmth. 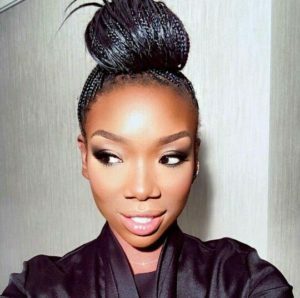 Brandy’s chic top knot is the perfect style for literally any occasion. Whether you’re heading to the grocery store or out on a date, this look is cute, trendy and easy to throw together. 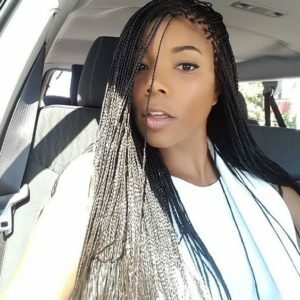 Gabrielle Union’s ultra long micro braids are one of our favorite protective looks ever. 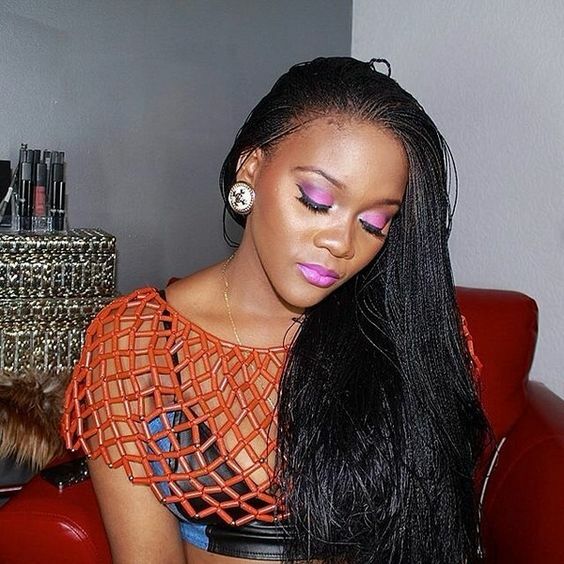 For super long styles that won’t feel heavy or hurt your neck, we recommend sticking with synthetic hair extensions. 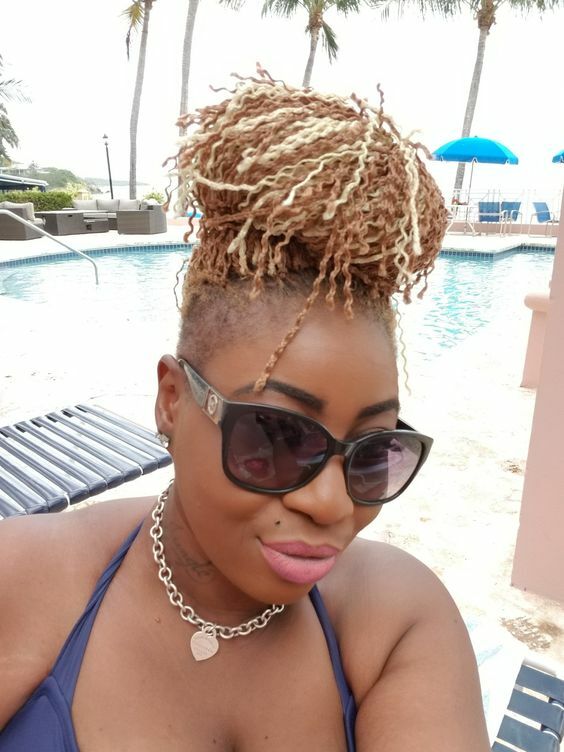 The platinum color and curly bob styling give these micro braids a glamorous 1920s vibe. If you’ve got light tan skin like Zoe Kravitz, this pale platinum shade can brighten up your face and bring out your eyes. 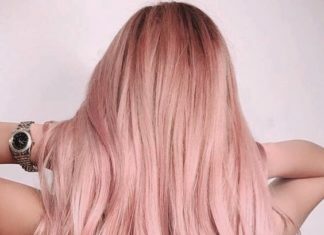 Want to try blonde waves for a few weeks? These open micro braids are the perfect canvas to go platinum without touching the color of your natural hair. 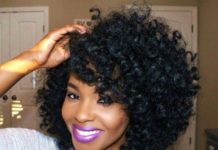 For the most styling options and least amount of shedding, this is a look where human hair is worth the investment. 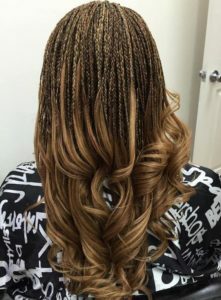 Use layered color to create interest in your micro braids style without the hassle of having to blend different colors together within each individual braid. 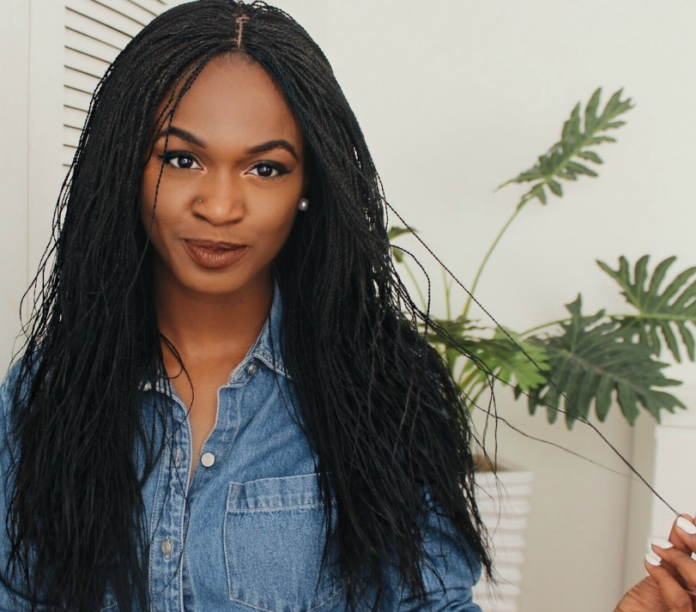 Want to wear micro braids without the time commitment? There are tons of options for realistic looking micro braids wigs, letting you choose the style for a day without having to plan ahead. This simple micro braids chignon is elegant perfection for your wedding day or another special occasion. 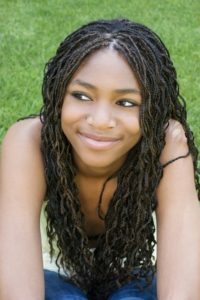 If you’ve got open micro braids, leave some loose tendrils to add softness to the look. The soft wave and natural sheen of human hair extensions make open micro braids a versatile style that’s easy to wear up or down. 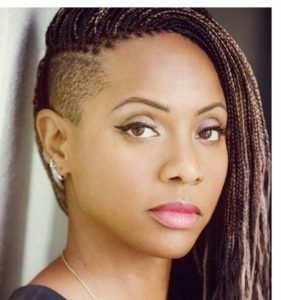 This high ponytail with open micro braids is a fun, flirty style that’s perfect for showing off your love of vintage ’90s style. If you’re not looking to play it safe with your micro braids, try an ultra-vibrant style like this dreamy pastel look.